USB is a serial bus standard that allows you to connect peripheral devices to a PC. In a home theater, USB can be found on the back of many computer-like source devices, such as MP3 servers and PVRs. Most printers, external modems, handheld computers, portable MP3 players, and other PC peripheral devices connect to PCs via USB. USB has pretty much replaced RS-232 in the PC world, with the exception of connections to automation and control systems, but it will probably eventually replace those as well. The most common use for USB in a home theater is with a Wi-Fi system. You can outfit source devices that can connect to the Internet with a USB Wi-Fi network adapter. This adapter enables you to connect back to the access point and out to the Internet. 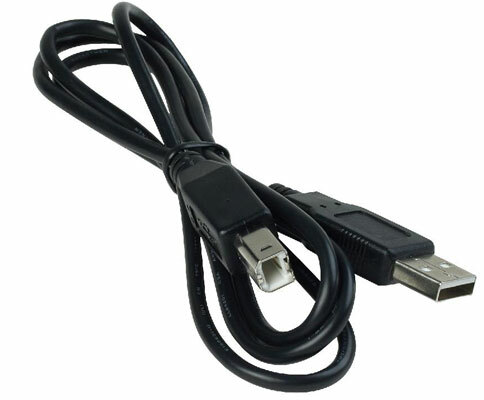 USB is also used for remote control connections for PCs. The remote control receiver for the PC connects to the PC via a USB cable. Multiple types of USB devices are out there. The latest and greatest variant of USB is USB 2.0 High-speed, which supports data transfers at speeds of up to 480 Mbits per second. The older and slower USB 1.1 standard doesn’t cut it for home theater use, because it can barely handle audio signals and just plain can’t do high-quality video. You can find a few A/V receivers (such as the RX-D201S by JVC) that have a USB connection that lets you connect to a nearby PC to feed digital audio signals (such as MP3 files) from the PC to the receiver without using a media adapter device.